While you can control the snippet expansion (pop!) 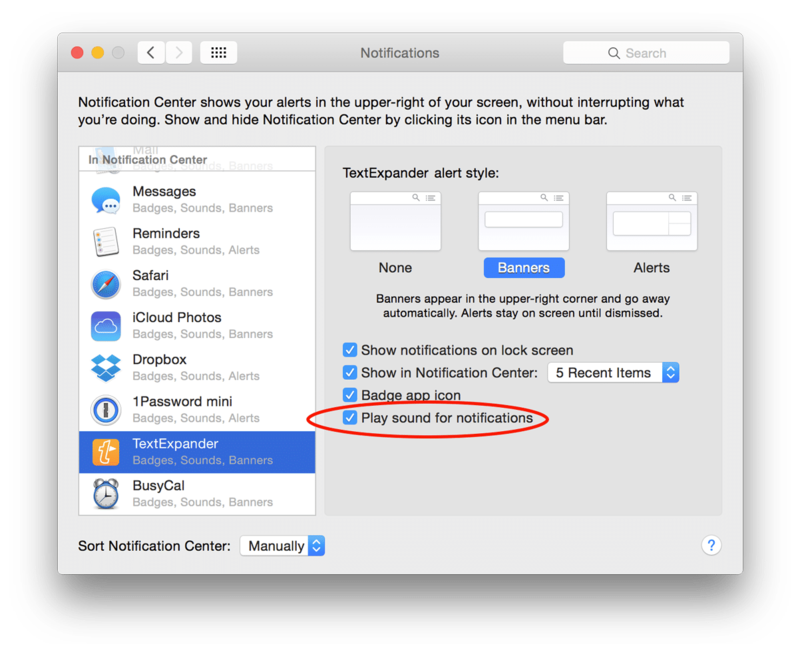 sound in TextExpander’s Preferences > Expansion > Play sound, the other sounds TextExpander makes, the notifications, are controlled in your System Preferences > Notifications panel. The “Play sound for notifications” checkbox controls whether any sounds play when TextExpander notifications are presented.